William Reeves was the Chief Engineer at the Helena Mine. He and his wife and two children lived at the mine year-round from 1936 until 1939. All of the winter provisions for the family were brought in during November and the family was not able to leave the mine until March. As the photo shows, the Reeves made the best of it and kept themselves entertained. 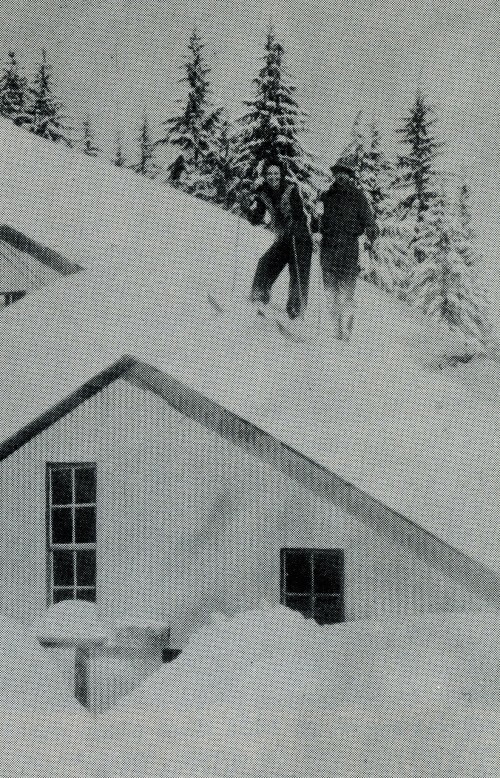 Here they are skiing down the mill roof.